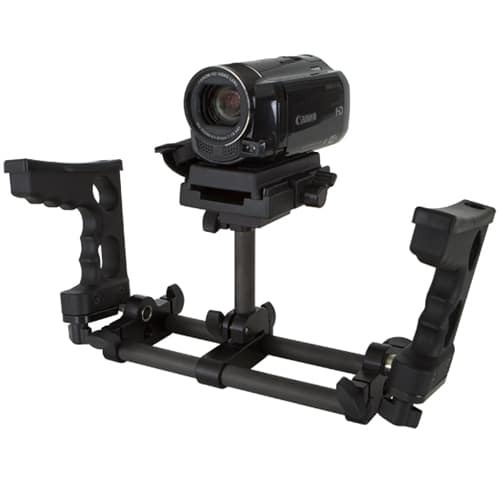 The CineGrip provides great stability and freedom of movement, allowing shooters to change levels and direction without restriction. 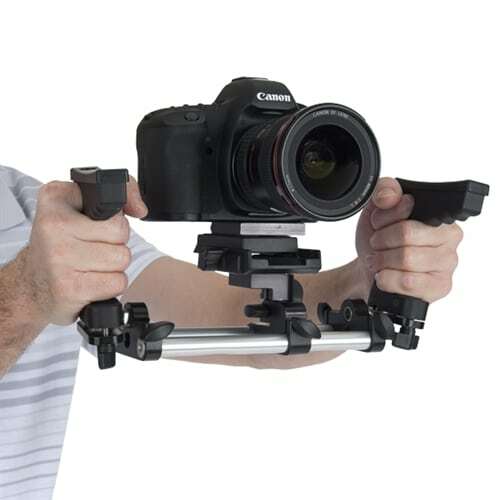 The wide dual-grip lets you handle the camera on its center of mass, stabilizing the rig for dynamic, improvised shots. The grips also swivel for offset handling, or the entire system can rotate into a rifle configuration. Also breaks down into the lightweight StingShot brace, or converts into many other configurations with the addition of other Riglits. 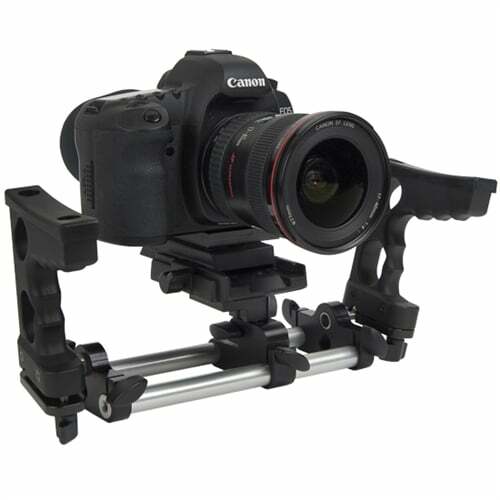 The CineGrip is a great starting point for one of our modular systems. 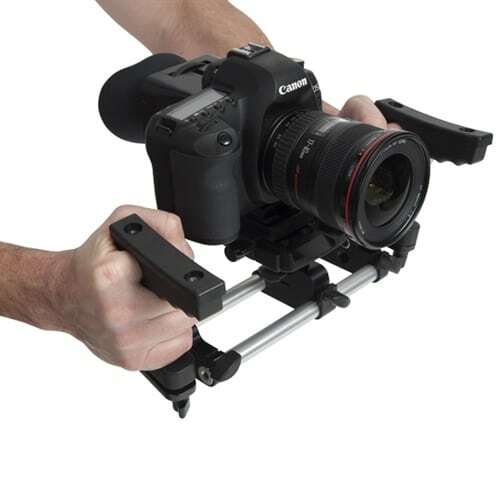 As a companion to your DSLR or compact HD camera, the CineGrip provides excellent stability for on-the-go footage. 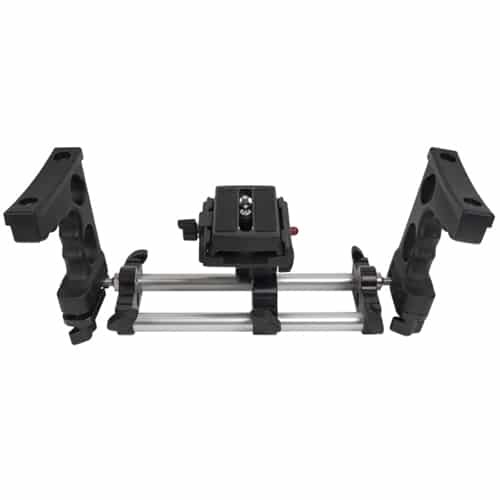 The 15mm rod system allows you to clamp on extra accessories like mics or lights, add Riglit components, substitute longer or shorter rods, and adjust the system to new dimensions. 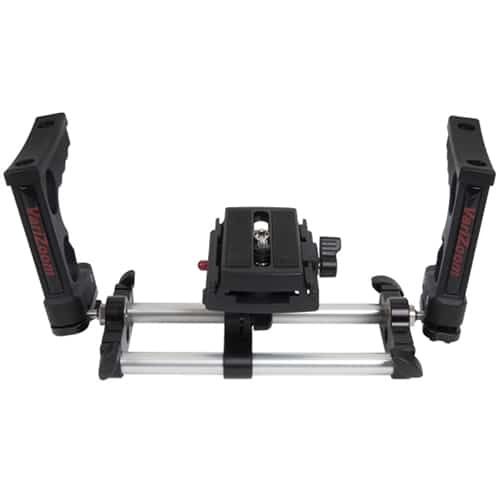 The CineGrip’s rotating handles allow you to switch the orientation of the grip to nearly any angle, and the quick-release plate allows you to rapidly switch from one device to another. 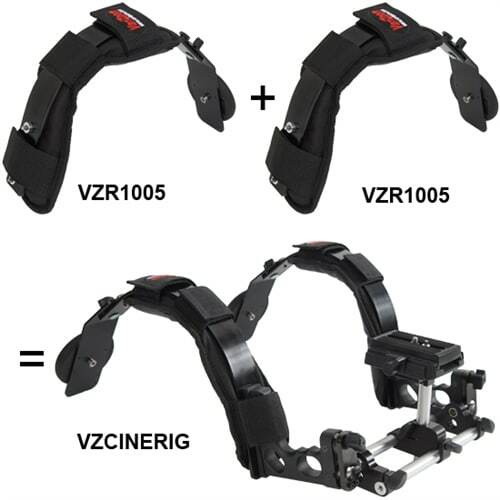 The CineGrip upgrades to a CineRig seamlessly with the addition of 2 VZR1005 shoulder harnesses (or 1, if you want to configure it differently). 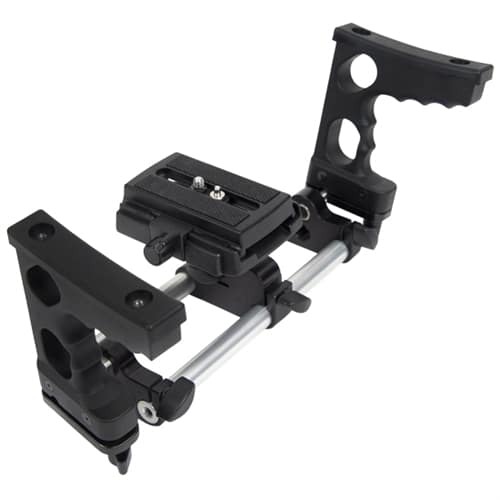 The great advantage of the CineGrip and Riglits system is that you can essentially invent your own support device by adding or removing components. 6.5" x 8" x 4"